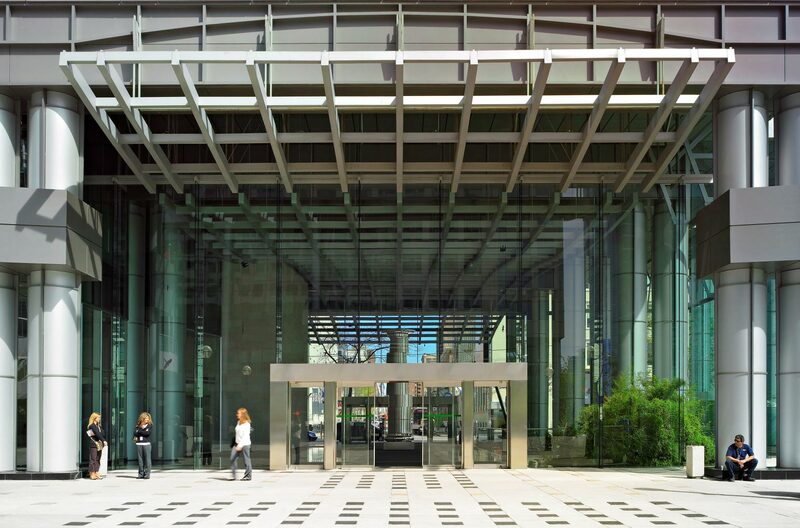 The award-winning, LEED-EB Gold Certified, MetroCentre building, at 200 Wellington Street in Toronto, is leveraging Smart Tech to support its high-performance building systems. Recognizing the advantage of investing in Smart Building infrastructure to protect the investments in its high-performance building systems (ranging from upgrades to the Building Automation System (BAS) to new security access control systems), property management team, Oxford Properties Group, engaged Smart Tech leader, RYCOM, to converge all of the MetroCentre’s building systems onto a single Base Building Network (BBN). Since the initial deployment of the BBN in 2017, the site has benefited from a reduction in overall capital costs and ongoing operating costs. The site has also expanded the BBN to include Wi-Fi in its lobby and its award-winning 64,000 ft2 urban retail space.